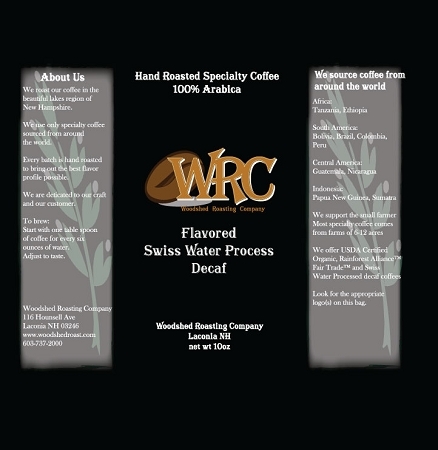 Woodshed Roast is the gourmet coffee lover's choice for the most delicious whole bean and ground coffee from around the world. We choose only the highest quality beans from growers with a reputation for maintaining the highest standards in all aspects of the growing process. We roast everything locally, so you get the freshest coffee possible delivered right to your home. Our selection of flavored coffee features 26 different scrumptuous flavors, like German Chocolate, French Vanilla, Hawaiian Hazelnut and other exotic mouthwatering varieties. Choose from 10 oz or 14 oz sizes and your favorite grind. Perfect as a gift for someone really special, or just as the ultimate liquid pampering for yourself.